Imperial Family Dentistry offers top-notch cosmetic dental care in Marshall, TX. Dr. Kayla Fry is dedicated to helping gain the smile they desire. She understands the close link between the capacity to express oneself openly, and the ability to make a winning first impression. An appealing smile increases self-confidence. You should never have to hide your smile or restrain yourself from laughing at a funny story. 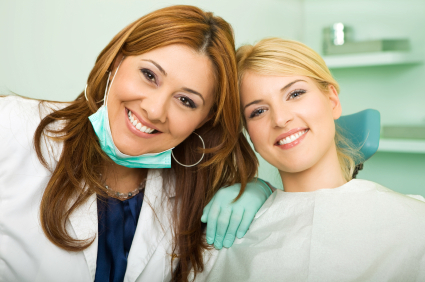 Dr. Fry is highly trained and experienced in the art of cosmetic dentistry. She takes a comprehensive approach to ensure your oral health is in good condition, listens carefully to your concerns and goals, then recommends the most cost-effective treatments to achieve your ideal smile. Tooth-colored Fillings – Undetectable, white, composite resin fillings are used to treat cavities for the health and aesthetics of your smile. Teeth Whitening – We provide both Zoom!® and Opalescence® professional whitening to meet your needs. Our instant in-office bleaching system can brighten teeth up to eight shades and includes our take-home whitening for ongoing maintenance. This take-home teeth whitening kit can also be used by itself to significantly brighten your smile in less than two weeks. Dental Veneers – Our Marshall cosmetic dentist uses only the finest quality material in their custom veneers. Able to conceal small cracks, chips, and mild gaps, porcelain best mimics both the natural translucence and opacity of a healthy tooth. Dr. Fry is very particular when placing any prosthetic. She obtains a detailed impression of your teeth, so you can be sure that your veneers will be precisely shaped to match your natural teeth and placed perfectly. Cosmetic Bonding – Direct Veneers are a more economical option to address small chips, permanent discoloration, and other imperfections. While porcelain veneers are fabricated from porcelain, cosmetic bonding entails a ceramic-like composite resin being applied to each damaged tooth. Both porcelain veneers and direct bonding material is shade-matched to your healthy teeth. Gum Contouring – Also called crown lengthening, this treatment evens out excess soft tissue that is obscuring your teeth. It is also used to prepare a tooth to receive a crown. Crowns – We are just as particular with our crowns as we are with our veneers. After obtaining a custom impression of your teeth, we work with our trusted lab to create a natural-looking restoration for a tooth that is damaged due to injury or decay. Our dental practice offers a choice of material to best suit your specific case. Imperial Family Dentistry partners with top local labs to craft our restorations. We also do more complex restorative work including implant restorations for patients who are missing one or more teeth. Call Our Marshall Cosmetic Dentist Today to Learn More! Dr. Kayla Fry can make conservative changes that make a great impact on your smile. She can also combine different treatments for a full smile makeover. Whether you are looking for a minor improvement or a drastic change, Imperial Family Dentistry has a solution for you!